We all as magical practitioners have been studying and practicing honing our skills and gifts for many years. Sometimes we need or begin to develop tools or resources to help us achieve that heightened magical state. Here I am going to share some of my own personal magical “tools” that I use when I need an extra boost or push into the spirit realm. I do this because people are always coming to me asking me how I do it so easily or often. The truth of the matter is that it took a long time for me to be able to get to the place I am today. The most important thing I suggest to people is to practice practice practice. There is nothing more valuable tool than a well-muscled witch’s sight. I am lucky to be working in a place that allows me to be able to flex and train my sight to be as good as it is, but what about before that? Or how does another person who isn’t working in the same situation as I achieve the same? 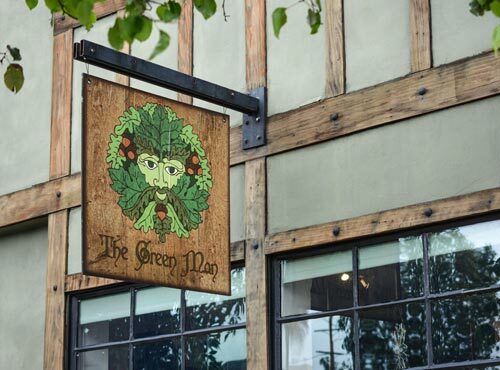 Prior to me working at The Green Man Store, I was still fairly active in magic. I had joined a different group of witches and we gathered and held moon workings and sabbats all year. I was also introduced to many different magical people who gave me little jewels of wisdom that I was able to cultivate into more. Even before all that I was strictly solitary and I was almost militant with reading and practicing and celebrating the sabbats. My guides and spirits were always there for me and I have always listened to them. I often tell people this and they say that I am lucky to have had amazing guides and other people to connect with, but to be honest even that took a lot of work and I will be the first to admit that I once was at the place as most feeling unsure and not as adept with my skills. I also started very early in my path so I’ve had time to grow past the uncertainty. Another suggestion I make to people who say that they don’t have a connection with their spirits or guides is to work with your ancestors. They are the ones who are most invested in your growth. Now that they are non-corporeal, they have access to spirits to help you with your magic and sight. One of the most important altars anyone can set in their space is an ancestral altar; it provides support, strength, and a safe portal into the realm of spirit because it is your blood that guards the doorway. If you don’t work in a place that basically oozes magic, then consider taking classes and going to events. Here at the store, we provide a safe and welcoming environment for other witches and seekers to come and experience magic. Those of us who teach have spent years building our path and abilities to be able to in turn teach people and allow them to find their own place as we did. Some feel awkward or embarrassed to come to an event or class for fear of asking or saying the “wrong thing”. To those I say, we are not here to judge and make uncomfortable; we are kindred spirits who are walking the same path so let’s join hands and walk together. When I first started coming to the store I would literally sit at the apothecary bar and listen and pay attention to everything. It may sound silly, but there’s nothing wrong with coming and sitting for a spell. Further, if you wish to avoid people because, let’s be honest, sometimes you don’t feel comfortable with others while you are learning and there’s a feeling of potential embarrassment. 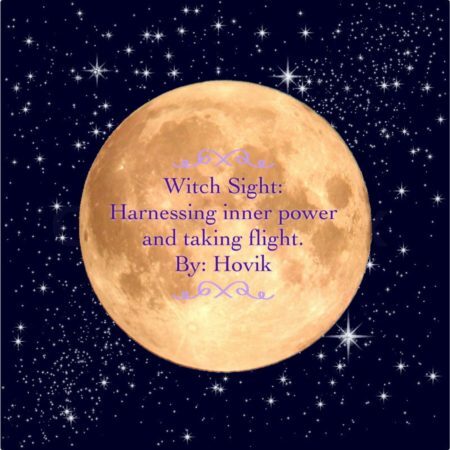 There are a number of other ways to increase your personal power and sight ability in order to reach higher planes. Many have heard of the infamous witches flying ointment. It’s a salve that was said to help with astral travel. The original recipe contained animal fat and a plethora of highly poisonous herbs that would produce a psychotropic effect thus causing an out of body experience. Witches would apply the salve on various “soft spots” on the body that would allow for best absorption. The reason this was effective was because the poisons contained would cause the body to go into crisis and start to shut down. Because of this, your mind would race trying to find an escape and that would lead to the out of body experience. Witches would speak of taking flight in the night sky to some secluded wood where they would encounter the devil who would grant them power in exchange for servitude. Now of course I don’t recommend you go out and smear highly toxic plants on yourself without doing a great deal of research. You can find a few reputable sources online that sell such ointments that are made correctly as to not have dangerous outcomes. If this piques your interest I suggest starting with milder herbs that produce a similar effect before trying a flying ointment. Some examples of herbs that are helpful include; mugwort, wormwood, tarragon, skullcap, sage, nigella seed, anise, and damiana. With these herbs a tea or even a simple incense blend burned before will help not only relax and quiet your mind, but it will gently push your spirit to higher spaces beyond your flesh. I always feel its important to start with these less toxic herbs because sometimes that’s all you need. Yes, the more potent herbs produce a more vivid experience, but all that is subjective. We all have notions of astral travel and being a floating spirit free from our bodies to do as we desire and sometimes those notions aren’t always what happens. I always tell people to not limit themselves and also to not place high expectations based on another person’s experience. Everyone is different and has varied reactions to things.